We were brought on by Anthony and Jeremy, the Producer and Lead Game Designer at Cyanide for Aarklash Legacy, to create an original story in the world of Confrontation, an IP that they had purchased and now owned from the miniature game publisher, Rackham. 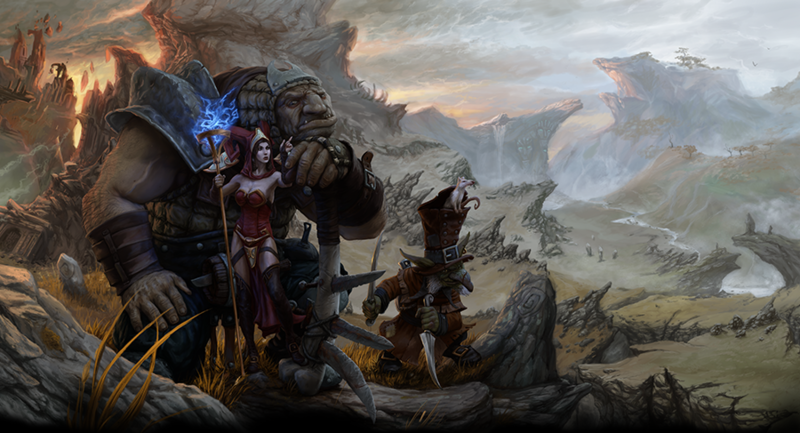 Confrontation is a popular world with dozens of core lore books, supplements and novels, and hundreds of characters and creatures. 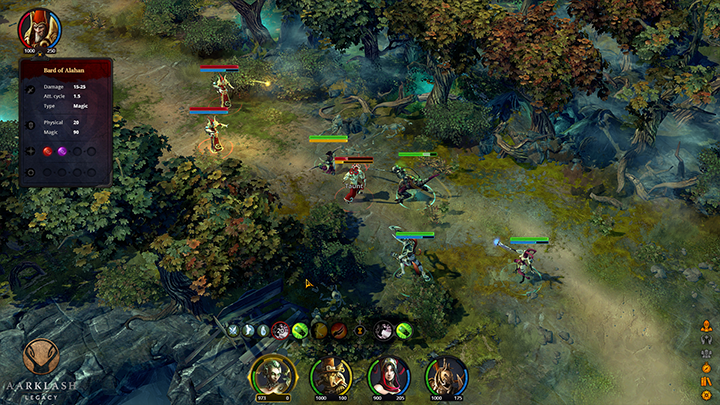 The strategy gameplay, à la Baldur’s Gate, we found really immersive but it was also challenging for storytellers – the player could build a team of four from a pool of a eight different characters discovered during the game. 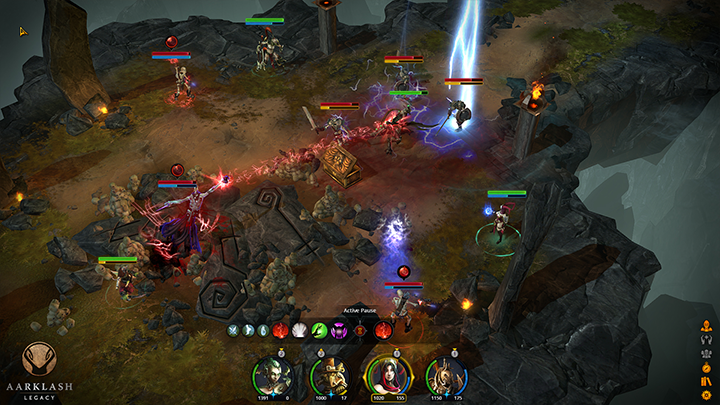 You then took your team on adventures and into dungeons, swapping them around as you saw fit between battles. You could never know who would be in the group when proposing cut-scenes, so we had to be very careful, and we couldn’t just kill people off from the story because the player might want to use them later. We proposed creating a new faction within the world of Confrontation called the Wheel Swords, a group of mercenaries that protected treasure deliveries with a guard at each wheel. This solved a lot of story problems as we decided to have the entire world put a contract out on the guild’s head. They were wanted as a collective and not as individuals, so no matter which characters the player chose to use in his team, they shared the same stakes, fears and motivations. Kurt and Simon worked on the story over three phases: an initial concept, treatment, and bible phase that lasted about three weeks, then a break of about four months was taken as Jeremy and his team built most of the assets and levels. Then we went back to write the dialogues that were integrated in parallel with the Cyanide’s animation team. Finally in post-production, the game was recorded in two days in a Paris studio.